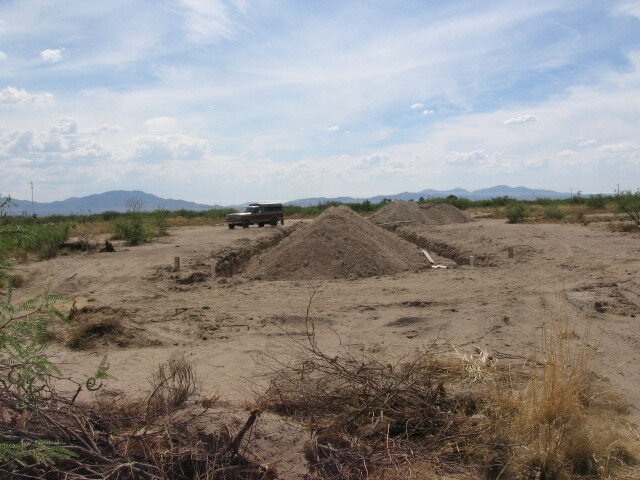 Next it was time to dig the leech field trenches. 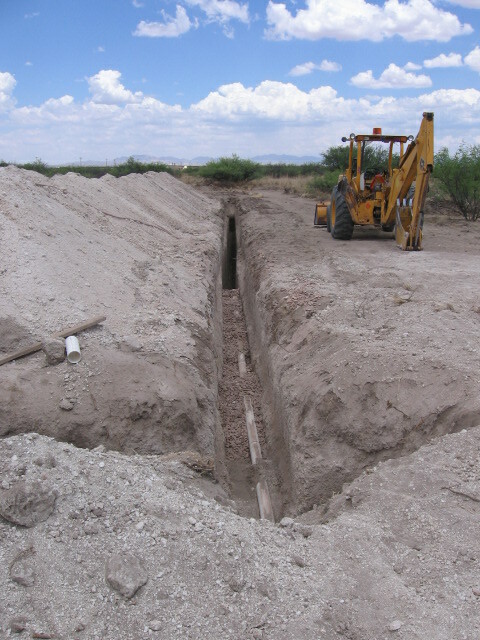 Due to the poor leech qualities of the soil in the area two trenches, 100' long and 11' deep are required. 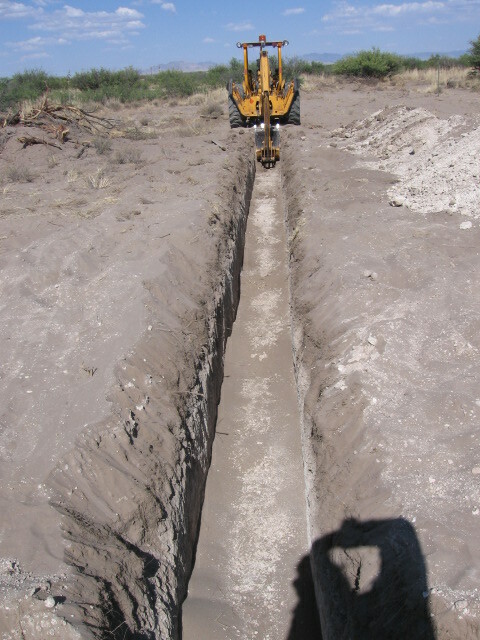 The next eight pictures are of the trenches and the leech lines after installation. Distribution box and feed line. 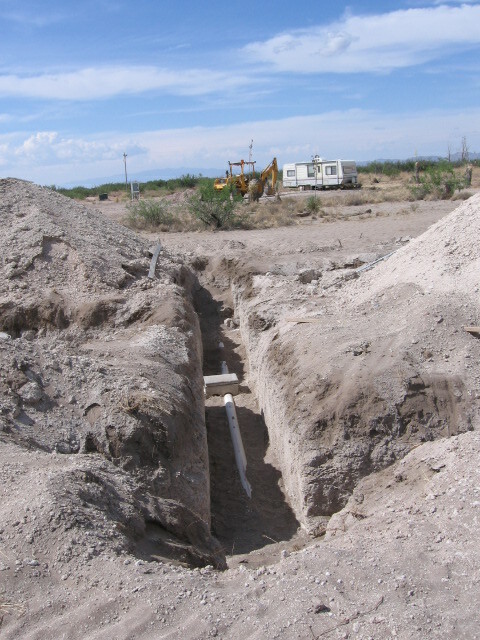 First step of digging the leech line. I dug it 3' deep and 2' wide. 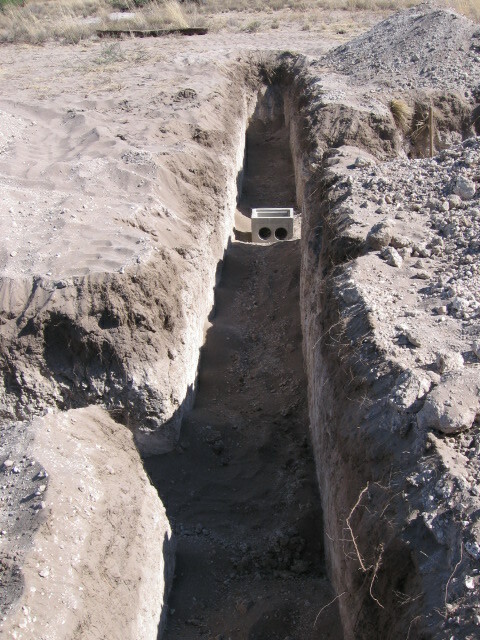 This preliminary trench of three feet deep and two feet wide was dug to make it easier to work in when placing the perferated drain lines. 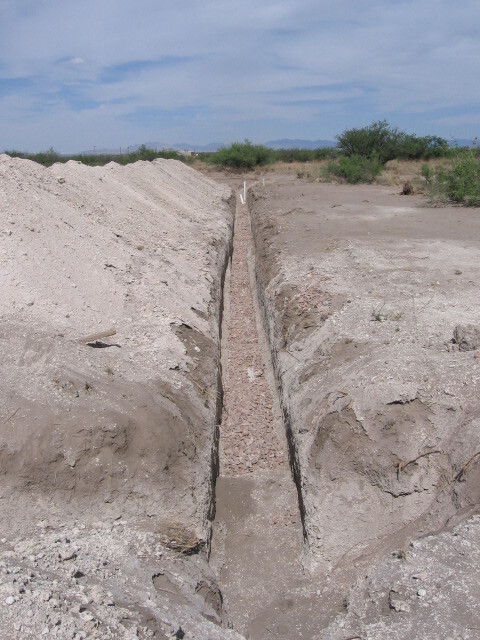 A wider trench for a wider body to fit in. Ha! 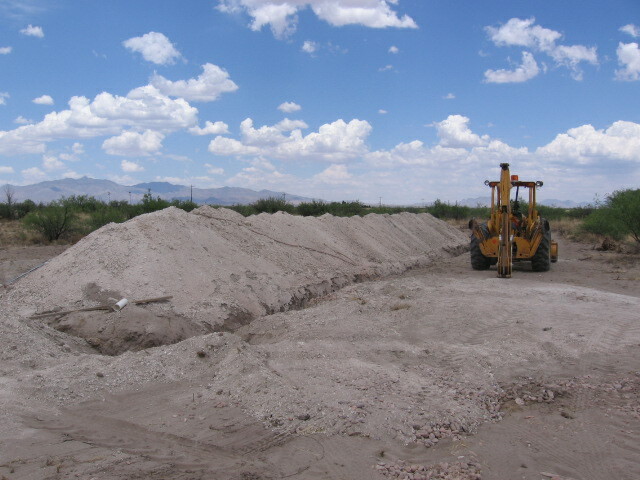 The pile of dirt is what came out of the eleven foot deep trench. 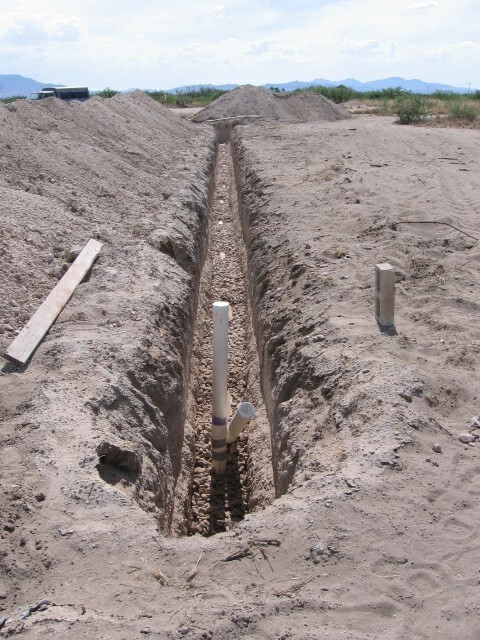 Eight foot of gravel is placed in the trenches and the perf pipe is put on top of it -- level.